Midlands firms urged to seize Crossrail opportunities - Crossrail . For information about the Elizabeth line please visit the Transport for London website. Firms from the Midlands will today (Friday 4 October) be urged to seize the opportunities that Crossrail, Europe’s biggest construction project, has to offer. Speaking at the Annual Construction Conference held in Gaydon, Warwickshire, Crossrail’s Supply Chain Manager Joanna Lewis will say that while Midlands businesses have already won sizeable contracts on the project, companies in the region must continue to make the most of the opportunities that will arise in the years ahead. The conference is being held by leading Midlands law firm Wright Hassall. Crossrail is the £14.8 billion project to build a major new rail link across London, including 26 miles of tunnels underneath the streets of the city. On a scale nearly twice the size of the Olympics, the project is creating jobs and business opportunities right around the UK as companies from Falmouth to Fife win work on the project. Estimated figures published by Crossrail show that in the last financial year the equivalent of 2,270 full time jobs in the Midlands were supported by Crossrail. However, with the project now entering into peak construction, there will be opportunities for suppliers from a wide range of different industries. Over the course of the project, it is estimated that Crossrail will generate at least 75,000 business opportunities and support the equivalent of 55,000 full time jobs right around the UK. Three in five businesses winning work on the project are based outside London and more than half (58%) are SMEs. Joanna Lewis, Crossrail Supply Chain Manager said: “Crossrail is not just benefitting London and the South East, it is creating jobs and business opportunities right around the UK as our supply chain stretches the length and the breadth of the country. “We know of dozens of companies in the Midlands that have already won work in the project’s supply chain. However, it is vital that firms in the region continue to capitalise on the openings that will arise as we head towards peak construction. Delegates at the conference, which is the tenth to be staged by Wright Hassall and has become a major event on the regional construction calendar, will also hear from Costain Skanska, one of Crossrail’s principal contractors about upcoming opportunities on its Crossrail contracts. Keller Ltd, based in Coventry has undertaken several types of piling, compensation grouting and structure monitoring to a number of sites in London, including Tottenham Court Road, the Plumstead portal and Bond Street. 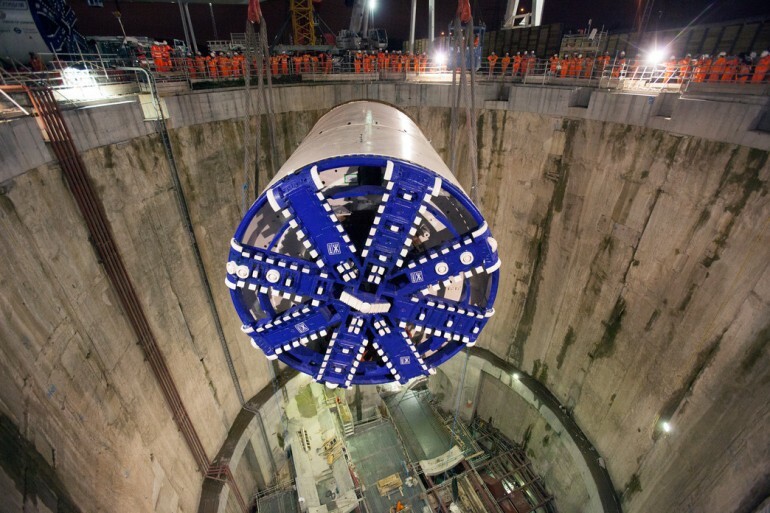 The company provides specialist ground engineering processes on tunneling schemes and has taken on several additional staff to deal with the demand created by Crossrail. Reader Grout, a company based in Sutton-In-Ashfield in Nottinghamshire which employs 20 people has supplied one thousand tonnes of grouting at the Whitechapel and Liverpool Street sites. The company has hired four new staff to deal with additional demand created in part by the Crossrail order and expects to hire more staff as demand from Crossrail continues. Shropshire firm Beaver Bridges is a specialist bridge design and manufacture firm based in Church Stretton. The company secured a contract to design and build a temporary bridge and tower structures to carry a series of utility pipes, allowing ground works to take place at Crossrail’s Plumstead tunnelling site in southeast London. The bridge and tower structures were fabricated at the company’s West Midlands facilities before being transported to London for installation. The total funding envelope available to deliver Crossrail is £14.8bn. The Crossrail route will pass through 38 stations and run over 100km from Maidenhead and Heathrow in the west, through new twin-bore 21 km tunnels below central London to Shenfield and Abbey Wood in the east.